Fiber. Soft, tactile, comforting, warm, pliable, face-plantable, cuddly, colourful, pure, organic, sculptural, smooth, rough… it has the almost magical property of being transformable, from single fine fibers to strong warmth-giving fabric, its been part of our lives since prehistoric times in one form or another, is it in our DNA that we love it? When I ran the blending board giveaway last week I asked people to post a comment with their reasons for loving fiber. This was all part of a cunning plan, an information gathering to quench my own curiosity, what is it about fiber that makes us love it so? Is it the sheer sensuousness of it? The tactile have-to-touch-that message that fiber sends out, have you noticed how people cant keep their hands off it? The first thing we want to discover about our fibers is, what do they feel like? A kind of drawing to touch it exudes somehow from the essence of the fiber itself, doesnt seem to matter if its raw wool, washed and dyed, carded, combed top, or spun yarn, even knitted or made into something. We have to touch it. Is it the colour of it that draws us? Do we love the excitement of dyeing some fiber and the constant surprises we can get when its done, the way fibers take up colour so incredibly and allow them to blend and merge in fascinating ways. Is it the thrill of overdyeing a naturally dark fiber and getting a deep rich colour like its come up out of the depths of the earth to enrich our vision, or the bright cheerfulness of strong colour on a white fleece, it can be so vibrant and creates such a feast for the eyes. Is it the way we can use it? We can felt it, spin it, sculpt it, knit it, crochet it, weave it, put it to use on our own bodies as clothing and decoration, create warm blankets for our family to protect them from the cold of winter, make people smile by gifting them something we have created with our own imaginations and our own hands, its like giving them a big heartfelt bearhug that they can feel everytime they wear what we made them. Having read everyones comments, and revelling in discovering so many parallels, connections between us, and a shared love of fiber, I think its very much to do with all the above, but also in the way we use it as individuals, because it gives us the means to express our creativity in so many different ways. One medium, one simple thing, fiber, creating with fiber, used by so many people and everytime becoming something utterly unique and personal and a part of someones self expression, a way to show they care about others, to enjoy colour and a tactile object, a deeply satisfying activity that has been around forever and continues to exist and evolve despite so much articifical factory made produce circulating our globe. Its pretty impressive huh 😛 Its like gold for the soul. Thanks so much!! 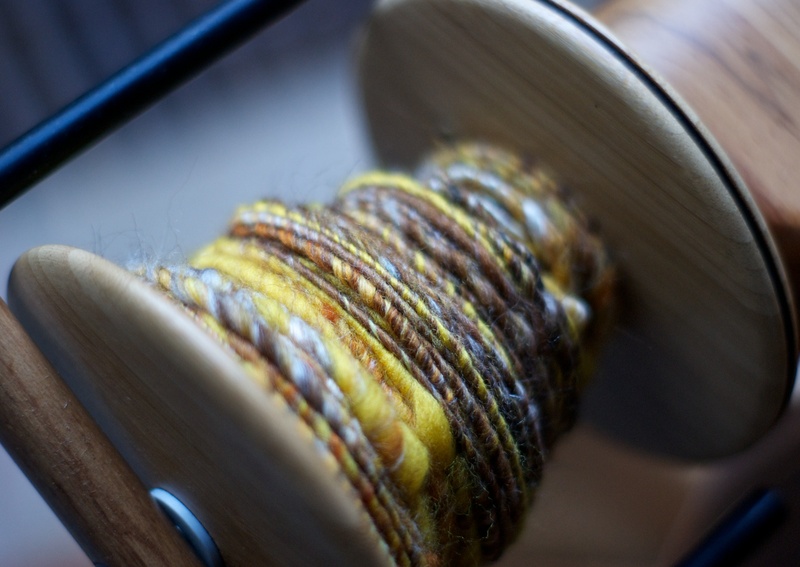 Gold For The Soul is indeed a great mantra for all us fiber people. Yes, thats right, its like gold for the soul every time, again and again! And we can’t without it! sometimes even lifesaving! Gold for the soul! indeed. Better than gold!